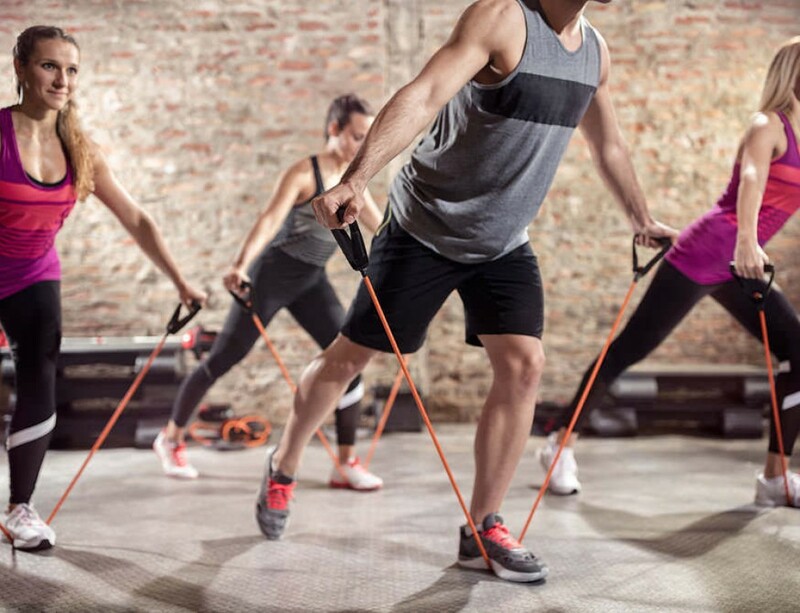 Commencing a yoga class, when you are past 50 years, can be an overwhelming or intimidating task, especially if you are obese or dealing with life-threatening diseases like diabetes or cancer. Although you may not wish to join a yoga class with younger practitioners, beginning a gentle yoga practice for starters is a good way of staying active and lowering your stress levels. Restorative yoga involves the alignment of your physical and mental state using gentle movements or stillness over a period of time. It also includes the concept of mindfulness which allows the practitioners to be conscious and aware of everything that happens around them. Mindfulness not only increases the fitness levels for older people but also improves their sleeping patterns. Restorative yoga is not only safe for older adults but also helps to keep their mind and body healthy. If you are past 50 years and want to start a yoga therapy course, then you need to find an instructor that will meet your needs. If you are searching for gentle stretching exercises that will help you achieve greater flexibility, then restorative yoga is a greater option. 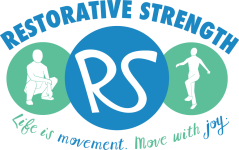 Flexibility exercises like restorative yoga are great if your joints are stiff or achy. 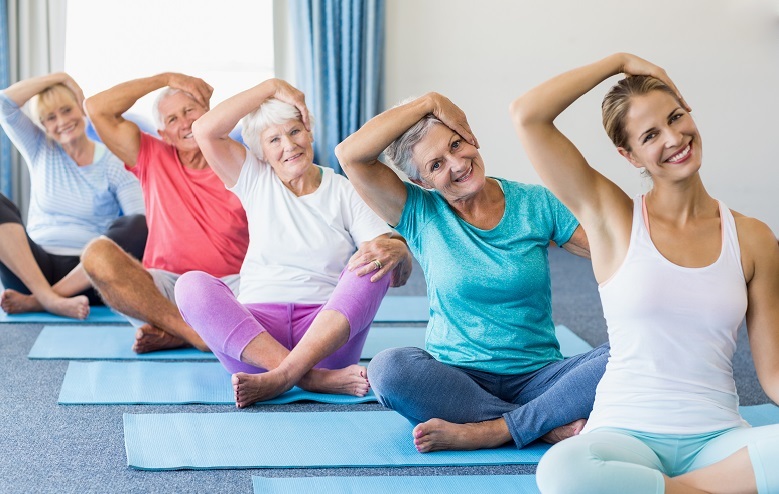 A recent study conducted to investigate the effectiveness of yoga therapy in managing arthritis in older women, researchers concluded that restorative yoga offered therapeutic benefits. As people become older, they are faced with various respiratory complications that can harm their health. 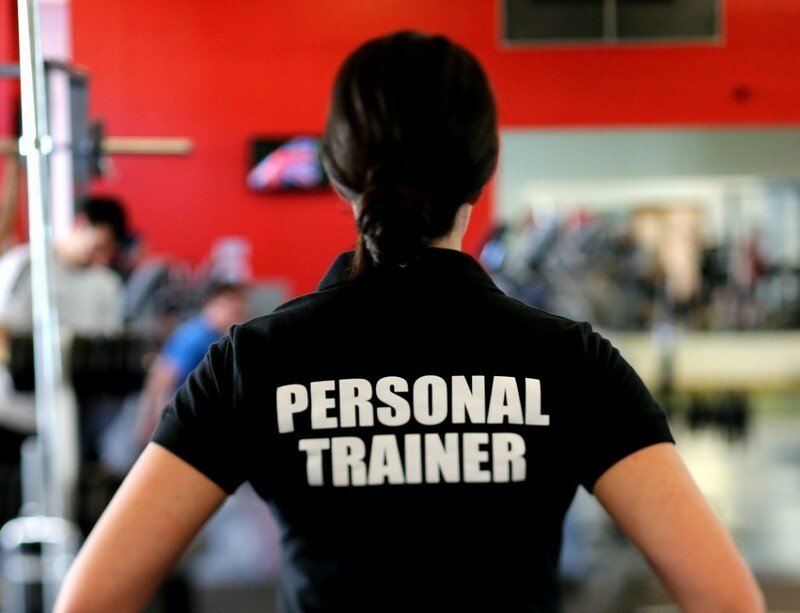 This results in the reduction of oxygen supply in the body which can adversely affect your overall health. Scientists have discovered that 3-months yoga for adults program can help to improve respiratory functions in elderly women. Breathing is a basic unit of life. You can go for weeks without eating, but you cannot go even for few minutes without breathing, so you need to keep your respiratory system in good shape at old age. Attending regular yoga practice sessions can help you to relieve the stress that had accumulated over a long time. This will help to keep your mind energized and centered on solving any problem at hand. When your body is working properly, you will have more vitality, and this will even enhance your moods. Hypertension is the most prevalent disease among the elderly nowadays. 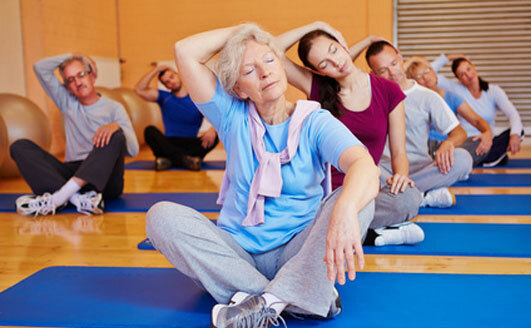 Recent clinical studies have shown that yoga therapy reduces oxidative stress in older adults. Oxidative stress is one of the leading causes of hypertension among the elderly. 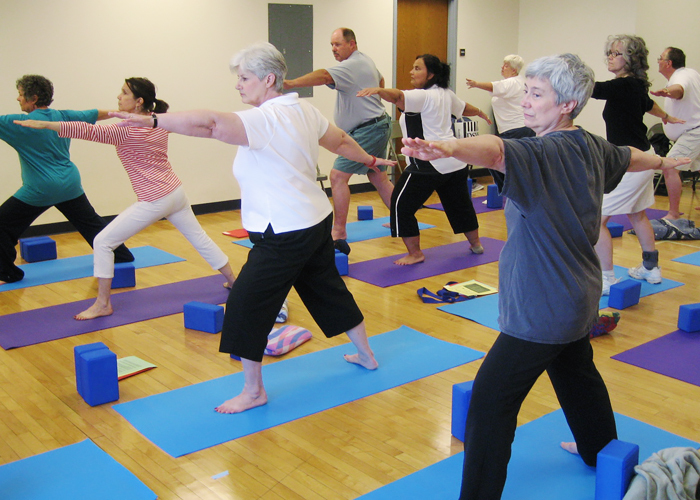 Yoga classes help your mind and body to relax, especially restorative yoga for older adults. When practiced regularly, it can help to reduce stress and anxiety in older adults. This is because it focuses on slow movements and breathes to trigger the nervous system. Certain yoga poses can help you overcome the stress that comes with menopausal fluctuations. You can try poses such as the Bridge to help you overcome your menopausal symptoms. It is a well-known fact that weight-bearing exercises like yoga can help to prevent loss of bone density and reduces osteoporosis. Whether you want to relieve pain from a bone fracture or prevent osteoporosis, yoga exercises can be beneficial. The yoga relaxation exercises you learn can help to improve blood circulation in your hands and feet. This ensures that you have enough oxygen in your cells and this promotes proper functioning of your body. Yoga enhances determination and concentration in all areas of your life. Practicing yoga every day will help you lose more weight compared to people who did morning and evening walks during the same period. You may have noted that your joints are not as lubricated as they used to be when you in your late 20’s. If you practice yoga frequently, then your joints will become lubricated, and you will avoid risks of getting arthritis. You need to start taking good care of your joints to allow you perform daily tasks as you get old, because if you don’t arthritis or osteoporosis will strike you. These are the benefits that seniors can enjoy when they register for a Yoga Therapy Course with us. If you are Past 50 or 60 years and looking for a reputable yoga instructor, then do not hesitate to Contact us today!